Owing the Oregon Department of Revenue or the Internal Revenue Service back taxes can be very stressful. If the government is after you because of back taxes, don’t panic. Instead of trying to evade the government, hire Tax Defense Partners to help you solve your tax debt problem and find a solution that works for you. Speak to a Tax Expert about Oregon Tax Debt Relief. Contact us now! What Happens When You Don’t Pay Federal & Oregon State Tax? Running away from your responsibility of paying federal and Oregon state taxes will only put you in more trouble. If you don’t pay your back taxes, the government will issue a tax lien which will prohibit you from liquidating any of your assets and make it impossible to apply for any future loans and credit cards. Additionally, you will be blacklisted in the credit bureaus, which will bring down your credit score. If you still continue to default on your back tax payments, the government will issue a tax levy which gives the IRS and Oregon State the right to seize your bank account, jewelry, or even your home to pay your tax debt. If I ignore the government long enough, will it stop trying to collect my tax debt? According to the law, the government has about 10 years before they need to stop collecting your federal and Oregon tax debt. However, during this period, you will just keep accruing interest charges and late penalty fees on your back taxes. What options do I have if I cannot afford to pay my tax bill? 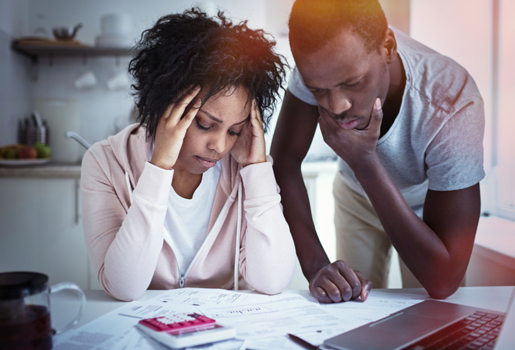 There are several legal options that you can take if you are facing serious financial hardships. You need to work with an Oregon tax debt attorney who will represent your case and negotiate on your behalf so that you can pay your tax debt via installments. Why should I hire a tax debt lawyer to solve my tax debt problems? Hiring a tax debt lawyer in Oregon to address your tax issues will benefit you greatly. A tax debt attorney understands the tax laws well and how they apply to your specific situation. This is essential for the attorney as they need to represent your case successfully. Hire The Best Tax Debt Defense Team in Oregon Today! At Tax Defense Partners, we hire the best tax debt relief attorneys who have amassed years of experience in finding the best solutions for individuals who are facing tax debt issues. Our lawyers clearly understand the Oregon State laws regarding tax debts and they will not only represent you to find a solution to your problem, but they will also ensure they preserve your rights as well. To schedule a free consultation with us, contact us at 800-600-4300 today!